Pump yourself and your business up. 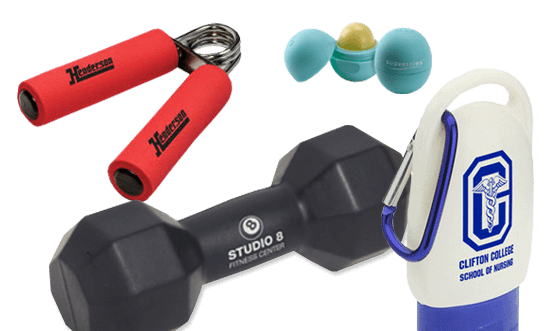 Whether you're promoting physical fitness with an event or looking for a healthy handout that your employees and customers will love, start getting your marketing in shape with ABC Marketing's wide variety of health and fitness products. We are here to help you strengthen your brand! Browse through our online catalog for the perfect health & fitness product or just to get some fresh ideas for your next marketing campaign.